Posted on 04/10/2015 04/18/2015 by Todd	This entry was posted in Ballpoint, Reviews. Bookmark the permalink. 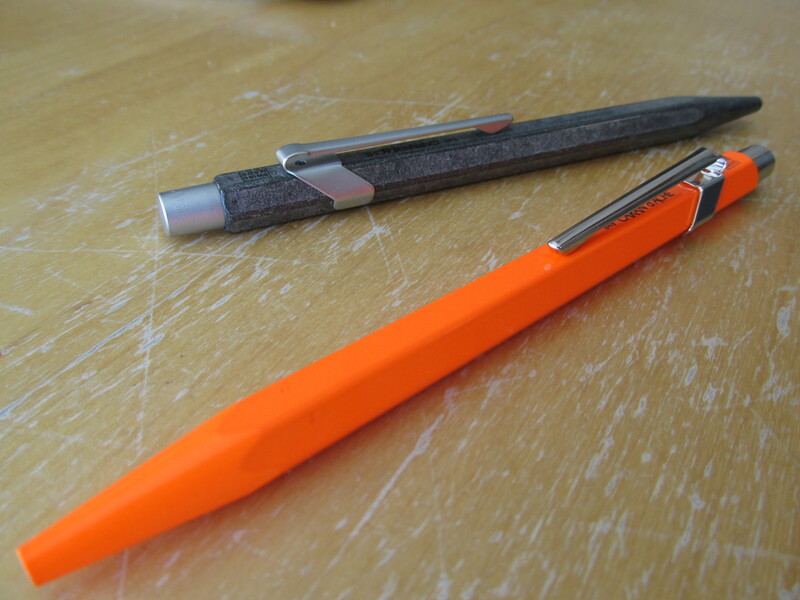 You can use the Parker Jotter fitting with the Fisher Space Pen refills, as well, for people who like those. 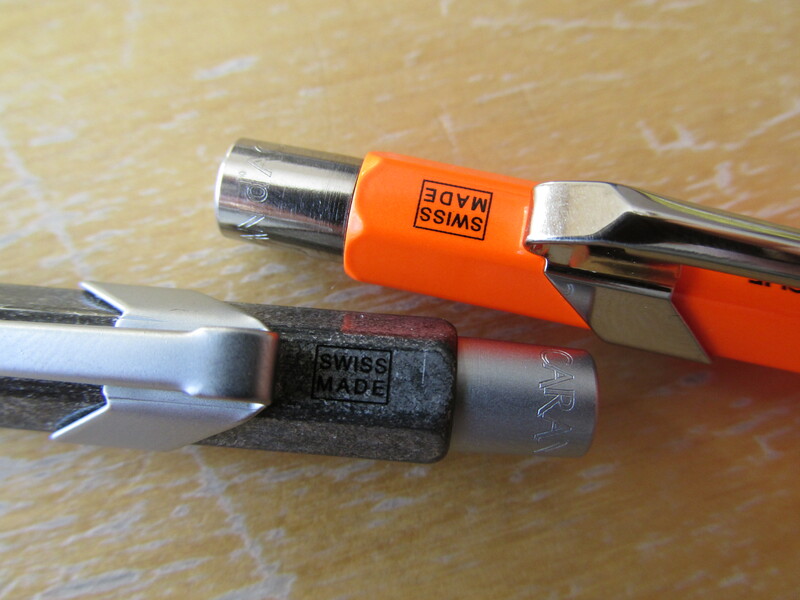 I had to use a utility knife to cut off some of the fitting’s top. If anyone decides to do that, just cut off a little bit until you are satisfied that the point recedes into the barrel far enough. I think it was around a mm or two that I cut off. I just wish Caran d’Ache would make a 0.5mm pencil. They have a comfortable, traditional grip and they are compact, as well. The Space Pen refills are a very close second to the Parker Quink refills for me. In fact, I use the Fisher green, red and purple refills in my green, red and purple colored Jotters. Good stuff. 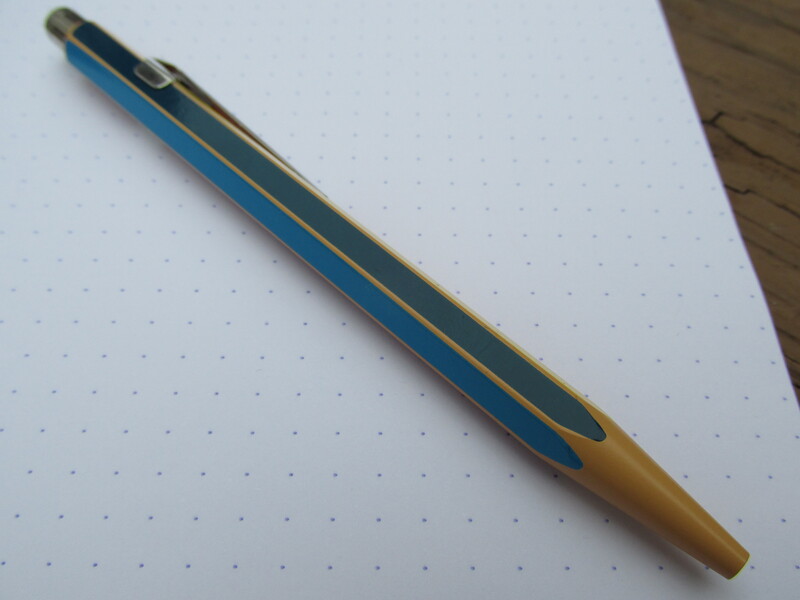 Im fairly new in the penworld but i got hooked during my vacation recently when i found a Zebra expandz in lightblue metallic. Since then ive gotten the zebra in red and white too altough i felt like it wasnt as smooth as i wouldve hoped, but maybe thats more because im a lefty rather than the pen itself? Now i started reading more about pencils since im starting to study again shortly and wanted to have some decent ones for taking notes, both mechanical and ballpoint. So ive gotten myself a pentel p205 which seems like a decent one to start off with. 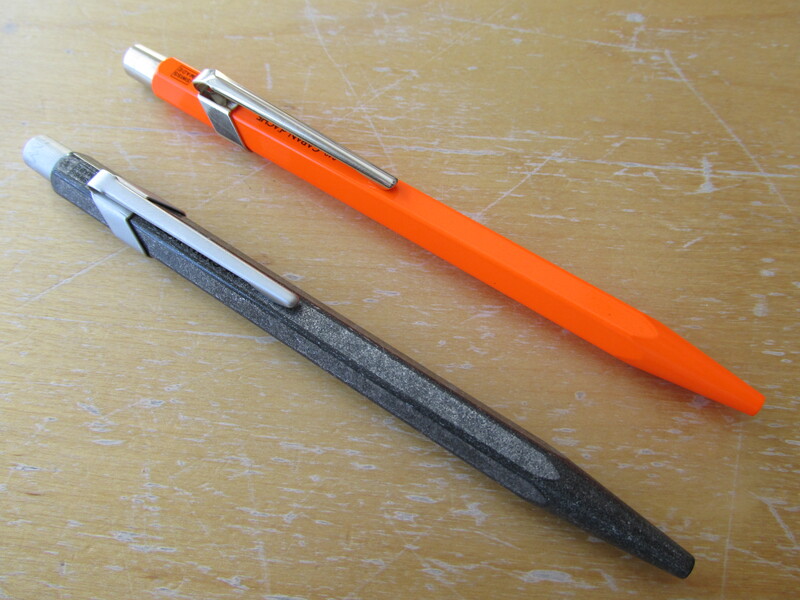 Im also considering the rotring 600, but i guess ill wait with that one until i get my p205 atleast. Couldnt wait with the 849 though, i just purchased the 849 100 year edition cause i got so taken with the looks of it, im almost considering getting the fluo orange too after seeing yours, the metallic yellow is also nice on the eyes, wish i could see them all in person tho! Which one of yours do you like best when it comes to looks? I really like the 100y edition since it is, as you say, unique. But its hard to tell how it actually looks through pictures and theres so few of them online to watch too, hope i wont get disappointed! Given that the shapes are identical, the best looking 849 is entirely a personal preference. If I had to pick, I’d say the 100th, but I dig the bright orange too. Yes, I have an 844 pencil. It’s great but I take the clip off mine so it doesn’t interfere with my hand as I rotate the pencil to evenly wear down the graphite. 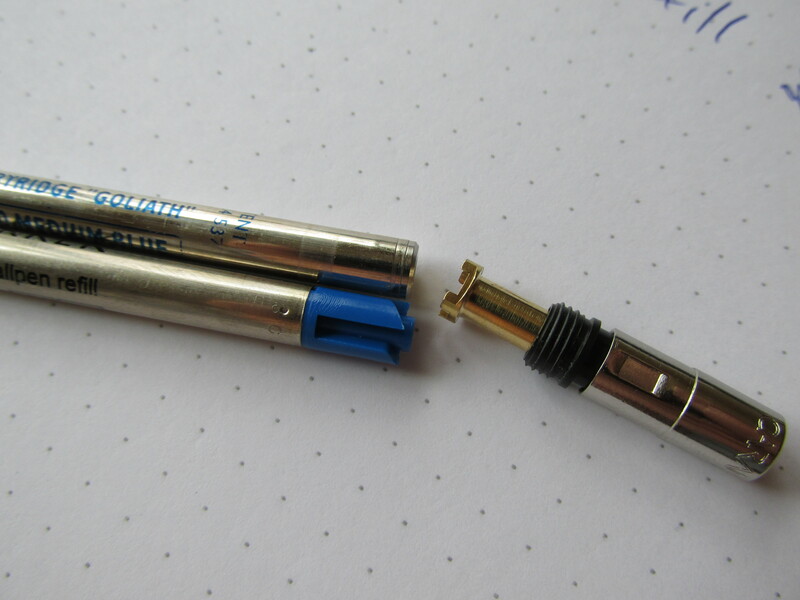 — I have used many times the Quinkflow cartridge in some Parker Jotters and the cartridge of the 888-infinitive ballpoint -It´s another model of the brand Caran D’Ache- (that cartridge is different from the Goliath, that one is hybrid and Goliath is oil-based). 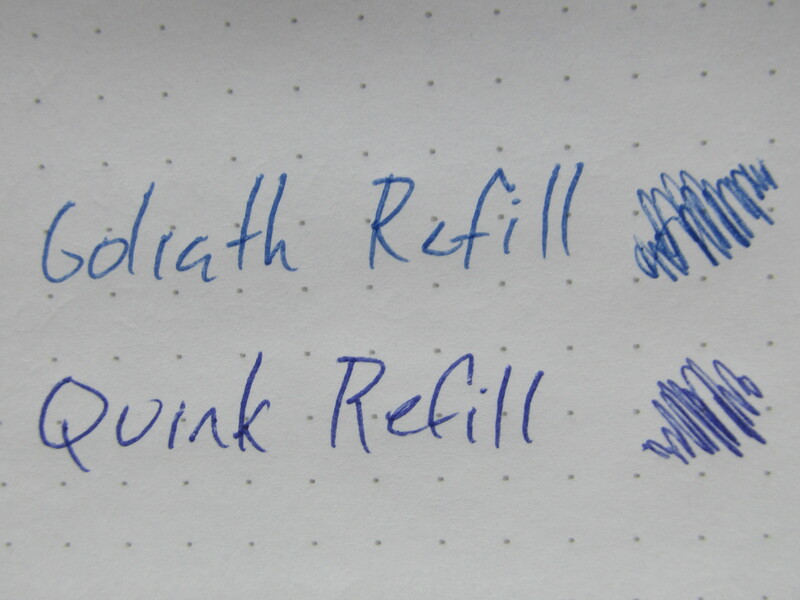 Well, I´ve compared both (the Quinkflow and the 888-infinitive cartridges), and I must say that that specific refill -Not the Goliath one-, is smoother than the Quinkflow; it´s a true blue ink not a purple blue; it starts writting quickly when you begin to write while with The Quinkflow you have to wait some seconds till it wants to start writing … And very important, the lines of some words written are more uniform in comparison with the lines of some words written of the Quinkflow (you can appreciate in this one that the words written have their dark and clear areas, it doesn´t happen with the 888-infinitive cartridge, this one is more regular and uniform). 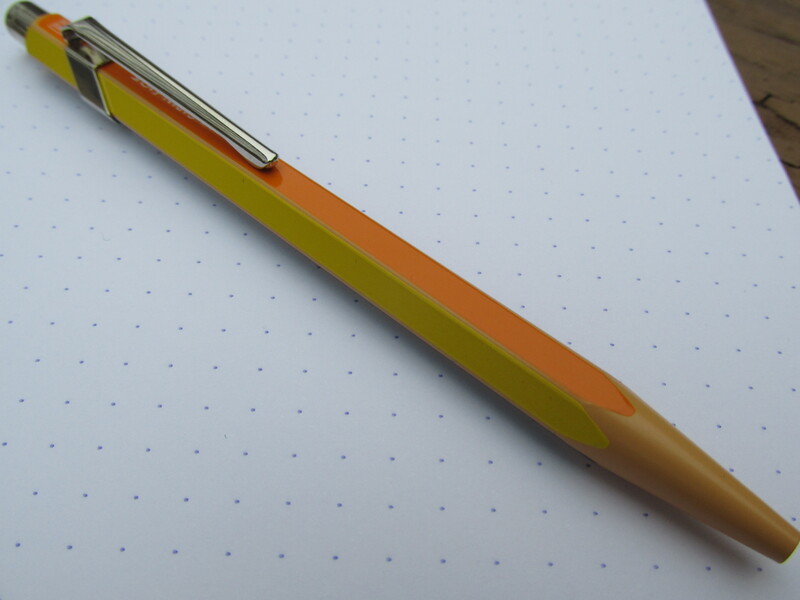 — I haven´t used the Goliath yet, but I´ve asked a 849 caran d’ache. I´ll inform you how it writes when I try it, perhaps there´s a difference with its brother 888-infinitive. — Well, I received the 849 Caran d’Ache ballpoint pen I asked, and I must say it writes very smooth and its exterior is nice. 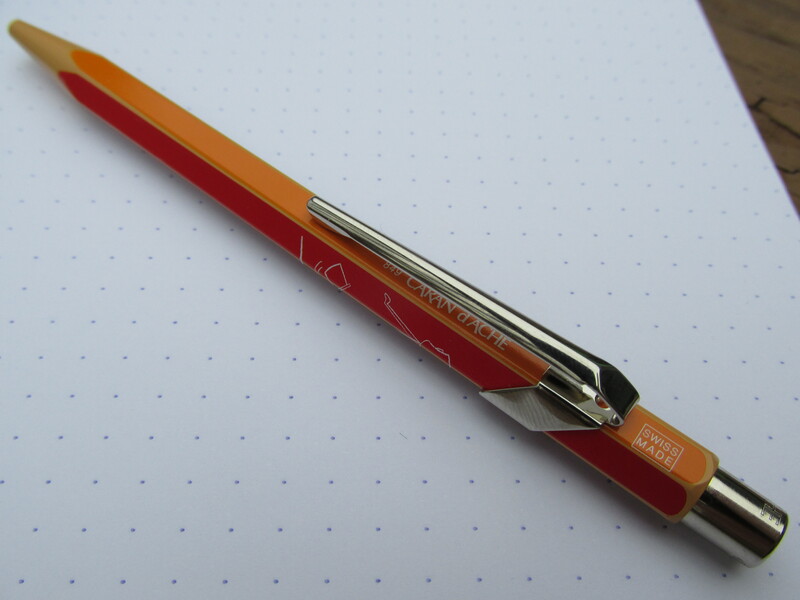 I´ve compared it with the Parker Jotter -with its Quinkflow cartridge- and I´ve found I prefer the 849 than the Jotter, because the 849 Caran writes smoother and I personally like its design. I´ve tried both with their respective medium blue ink cartridge. Nevertheless, the black medium cartridge of the Quinkflow writes smooth too, and I like the black intensity of its ink, not all ballpoint pen brands get that very dark intensity black ink, but yes black-grey -and I don´t like that kind of poorly black intensity, I mean the black-grey-. 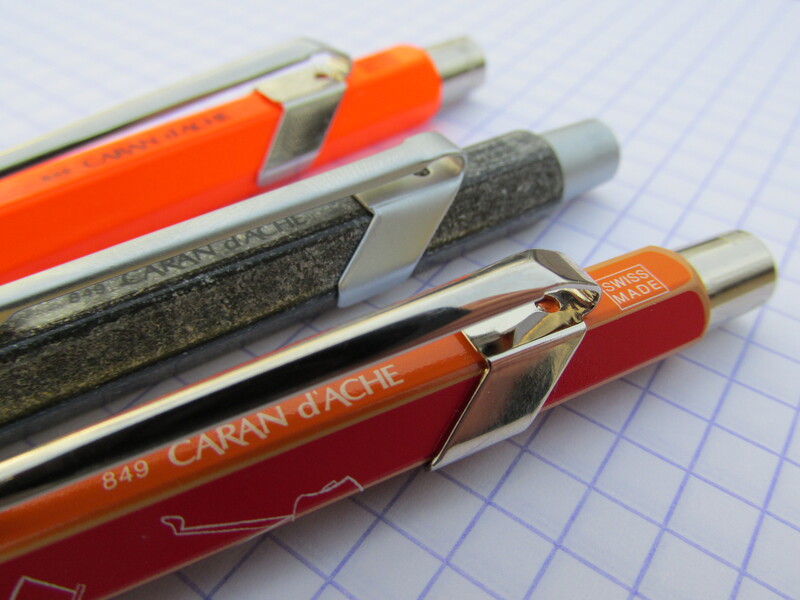 — But … What about the 888 Infinite Caran d’Ache compared with its brother the 849 Caran (first of all, I made a mistake in my previous post, I wrote 888 Infinitive, when its real name is 888 Infinite). The 849 is more elegant, lighter and smaller than the 888 Infinite, but this one flows better and writes smoother, because its ink is hybrid while the 849 Caran ink is oil-based. Apart of that, the blue colour of the 888 Infinite ink is brighter and nicer to me, it´s a real blue ink and not the purple blue ink of the Quinkflow cartridge. Nevertheless, I´m glad with my 849 Caran ballpoint pen, because apart of the differences it´s noticeable its very good quality.